We value your privacy and will never share your e-mail with anyone. Make sure you check out all of our how-to pages and articles. You'll find exhaustive and authoritative information on shutters for your home, window design, the perils of vinyl siding and all how to make sure your porch adds to the aesthetic value of your home. Is your curb appeal at its fullest potential? Is your house the victim of unrealized mistakes? We can make your house the best on the street and you can see how it will look completed before work begins. Need a new porch or paint colors to work with the architecture of your house instead of against it? We will help you. Test your paint colors and renovation with us before you take the plunge. A picture is worth a thousand words. Have something to show your contractor what you want, and make sure what you see is what you get. Welcome To Old House Guy! Do you own an old house? Do you love the character of old and historic homes? 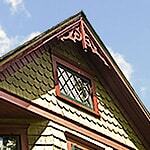 Are you looking for ideas about historic house restoration or how to start a curb appeal makeover? Well, you've come to the right place! Old House Guy is the go-to resource for homeowners who are renovating old houses. Here, you’ll discover how to achieve TRUE curb appeal that resonates within your inner senses—not what advertisers want out of your wallet. We help train your eyes so you know what to look for and how to pick out design errors that affect a curb appeal makeover. With us, you’ll learn by seeing, developing a deeper understanding of architecture than many professionals and becoming a more informed consumer. 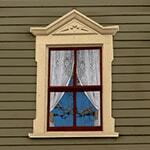 Understand Old House Windows, Porch Railing Designs and More! 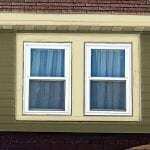 It’s time you learned the truth about new windows and old house windows, their energy efficiency and how their design affects curb appeal. Discover how vinyl siding is not only bad for the environment, but also how it changes a house like a slipcover changes a sofa. 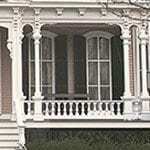 Avoid making your house into a clown house by understanding porch and porch railing design. 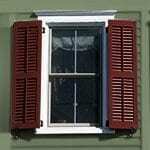 See how 99 percent of shutters hung by builders ruin the appearance of a house. We are your ultimate source for comprehensive information on old and historic house restoration, including old house windows, shutters, porches and porch railing design and wood siding. Check out our blog for the latest articles. What All Old House Owners Should Know–Read on. I personally recommend the Old House Journal for everyone owning a home built from 1760-1960. 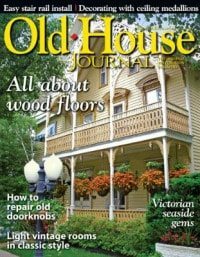 If you only subscribe to one magazine, choose Old House Journal. If you live in a town where your local government or code enforcement does not understand historic preservation, I suggest buying a gift subscription for them. By browsing this magazine an interest and respect for old houses may develop.